Facet ablation or rhizotomy is usually performed for long last relief from pain if the patient responds to facet block. 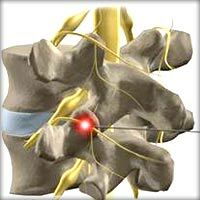 It is a outpatient procedure which usually gives immediate pain relief. It is done by burning the sensory nerve to the facets. If you are certain that a facet ablation is the right treatment for you based on a referral from a doctor or recommendation from another surgeon, the highly skilled surgeons at Advanced Orthopedics are a great choice for getting this procedure done. As a part of Advanced Orthopedics' commitment to our patients, we have put together a quick and easy to use tool to help determine whether a facet ablation is the right treatment for you.